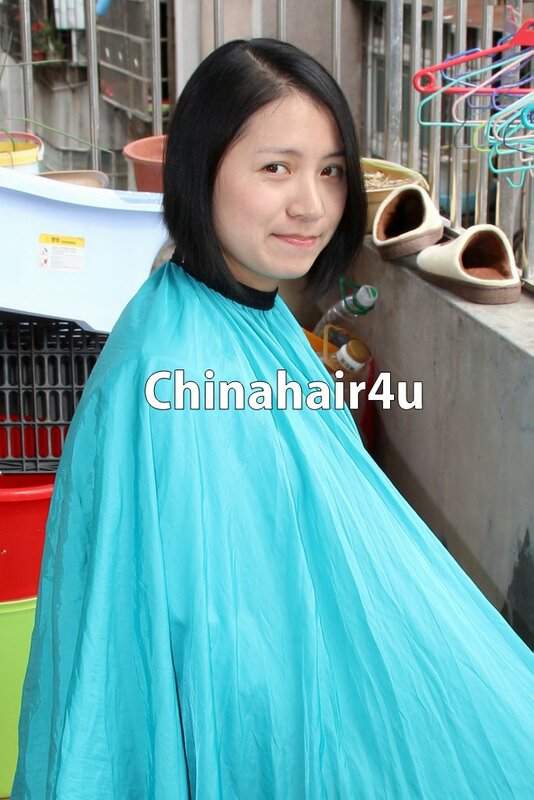 She is a very cute and pretty mom. 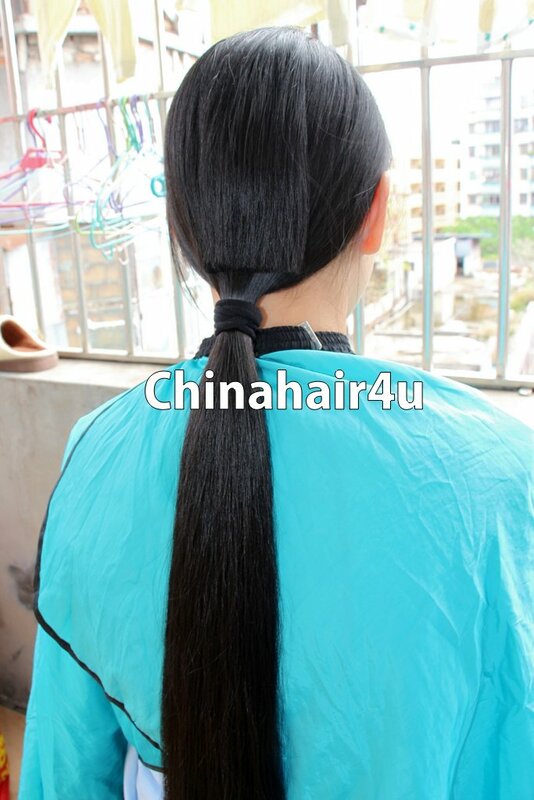 Her hair is very silky, black, and straight. 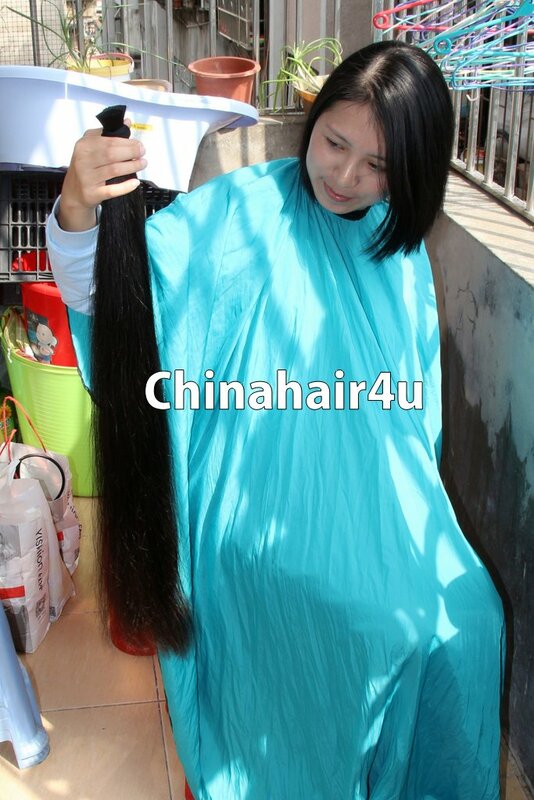 This video features her hair cut and trim after cut. 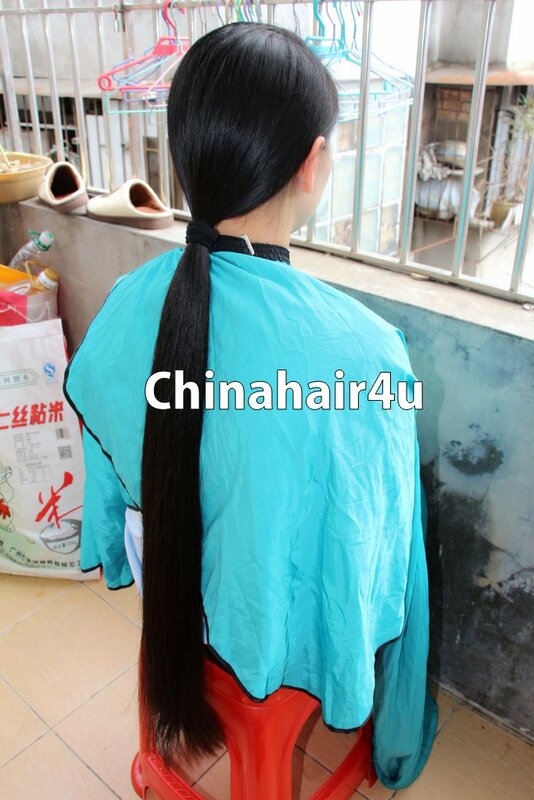 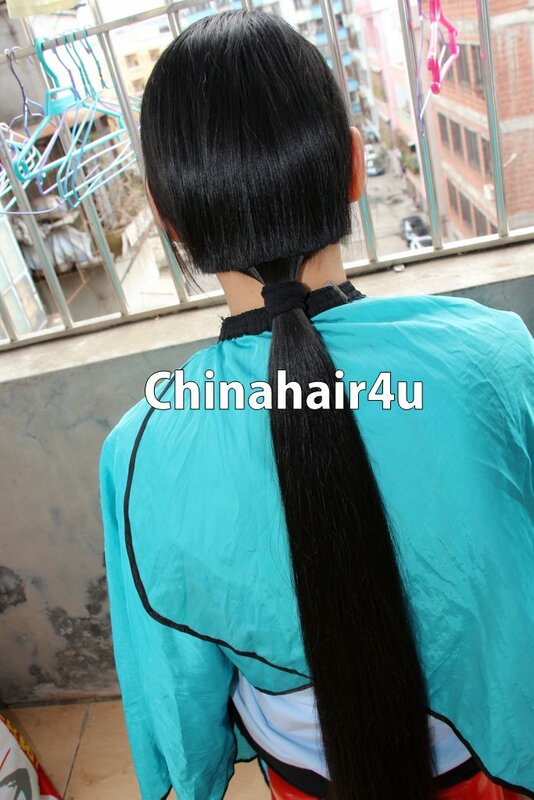 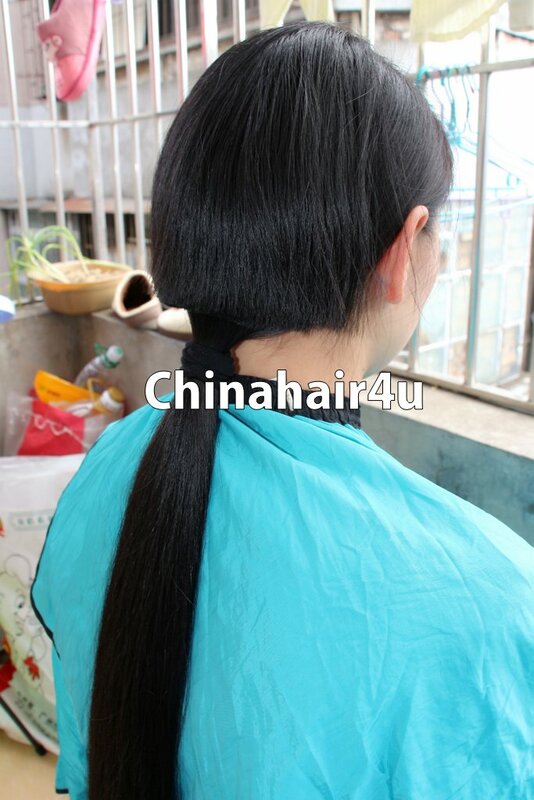 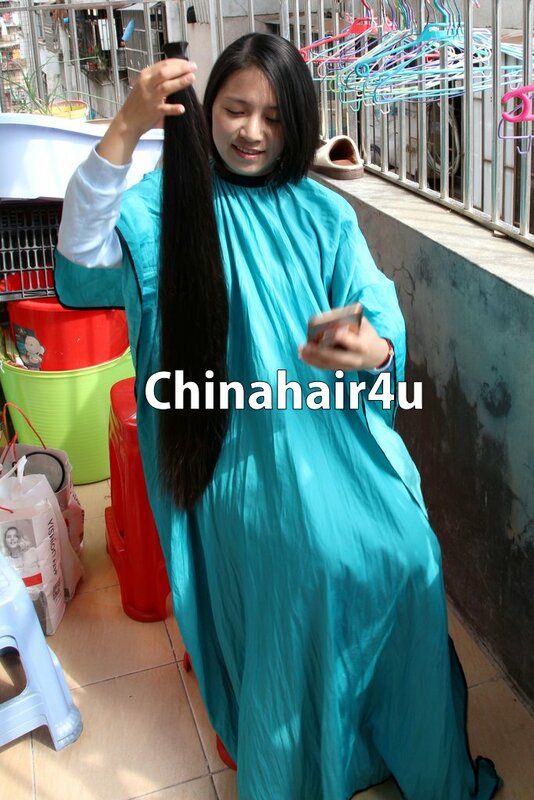 The ponytail cut from her measures 0.8 meter long.